When you think of baby cribs, you think of sleigh cribs, canopy cribs, round cribs and iron cribs. 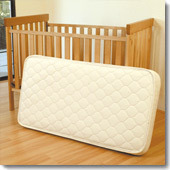 Just don’t forget to think of crib mattresses, crib sheets, bumpers, blankets and more. You need all the basics and we have them all!